Beautiful fluffy egrets. Hope it was not too cold for them. 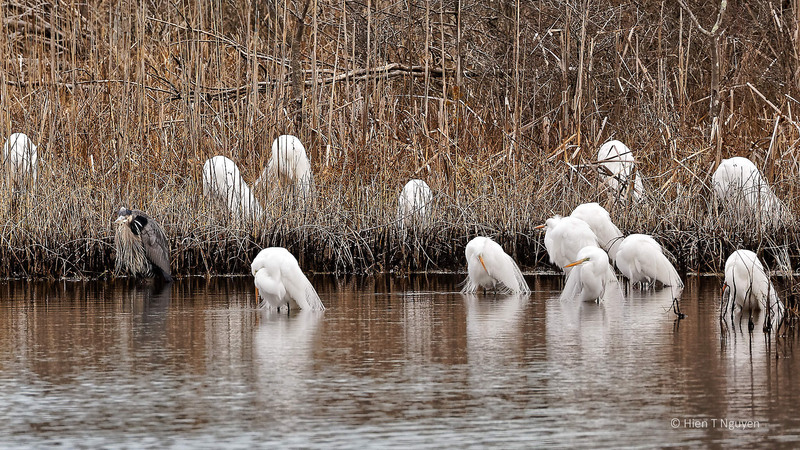 Love a story like this because it’s something new and enlightening – I’ve never seen a large number of egrets. Beautiful captures. I’ve seen a few small flocks of ten to twenty egrets at one time around here, never as many as you saw. Also, I seldom see them in the spring in their full breeding plumage, only in the fall when they’re on the way south. I’m quite envious of your photos, as they are excellent, and show the full beauty of the egrets! Thank you Jerry! 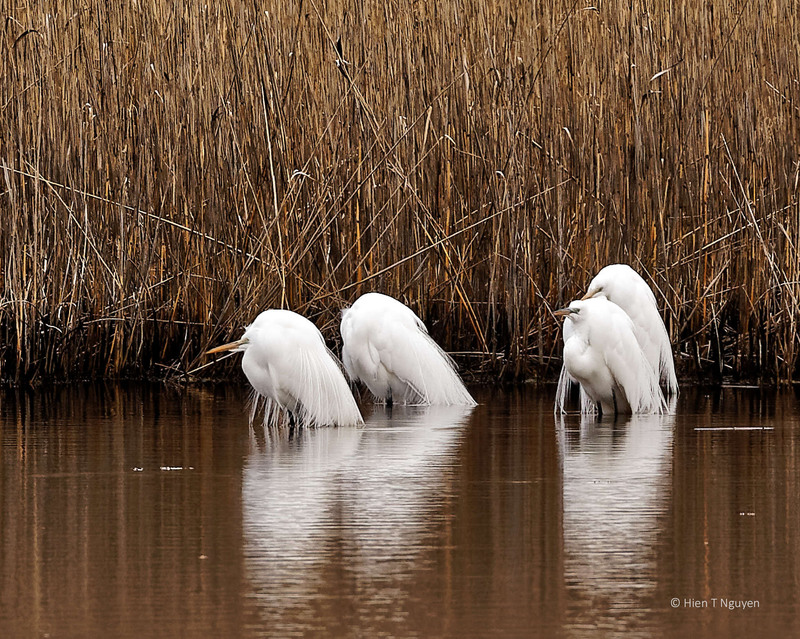 Here in New Jersey, the EBF Refuge seems to have egrets almost all year round. That’s why we get to see them in their breeding colors. This winter was so cold that there was at least a month during which I did not see them, but now they are back in force. I can’t imagine seeing a flock that big. Must have been wonderful! 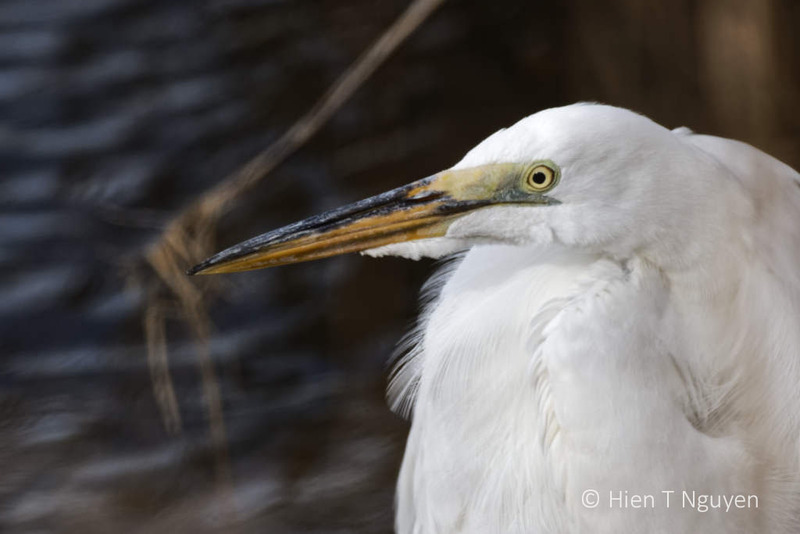 Eliza, it was a wonderful surprise, with so many egrets anywhere you looked in a 180 degree arc! What a special treat to see such a large gathering of these beautiful birds! Yes Sandy, it was a nice surprise for arriving early at the refuge!